When goods are being transported, by land, sea or air, there are physical damage risks along the way. Goods can be damaged during loading or unloading, as well as during transit and even while in storage. Madeleine Griffiths, UK and Ireland cargo underwriter* at XL Catlin, now part of AXA XL, a division of AXA, explains how cargo coverage works and how it can be included into global programmes, and discusses the technological advances that are changing risk management and transfer for this sector. How is the marine cargo market changing? What must risk managers and their insurers consider when goods are being transported? 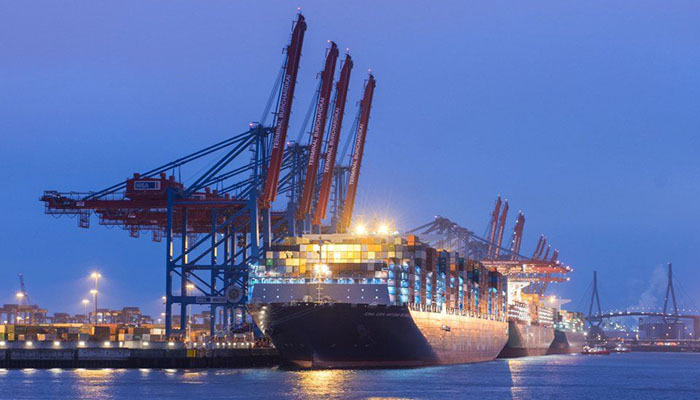 The marine cargo insurance market continues to grow and evolve, as technological advancements change the way goods are transported. New technologies such as the internet of things and blockchain have the potential to bring big changes to the way goods are moved around the world. At the same time, the risk landscape is changing too. The potential for autonomous ships, for example, means that risk managers need to think about the implications of transporting goods in vessels that have no crew. Regulatory oversight of this sector also continues to evolve. Regulators and risk managers have, in recent years, focused more stringently on the risks posed by overweight cargoes, among other things. Risk managers also have to consider issues such as the accumulation risks associated with goods stored in containers at ports, and their potential exposure to both man-made and natural catastrophes, for example. This is an area where insurers have been working hard to improve access to modelling, to enable risk managers to tackle the risk of having too much stock in one place at any one time. Marine cargo insurers are adapting to cover newer risks and looking ahead to the changes coming down the line. You might assume that marine cargo insurance covers cargo transported by ships. But in fact, it is much broader than that. It covers physical damage to goods as they move from place to place by sea, road, rail or air. The coverage protects clients’ goods during loading and unloading, while they are in storage and while they are being transported. Stock throughput coverage is a form of cargo insurance designed for clients that import, distribute or export goods. It provides seamless cover for clients’ goods while they are in transit and in storage at either owned or third-party premises. A major advantage of this type of coverage is that it enables better control of inventory through the supply chain and improves the basis of valuation, as well as providing coverage for unnamed locations. How and why can cargo insurance be underwritten in a multi-line global programme? For many clients, it makes terrific sense to include cargo coverage in a multi-line, global programme. It enables risk managers, their brokers and insurers to look at cargo insurance as part of a seamless coverage and to achieve central control for the group risks from start to finish – to see the bigger picture. If a client uses a global programme for property and casualty coverages, including cargo, that programme gives oversight of property risks and coverage right through the chain, reducing the potential for gaps in coverage. In the case of a claim, the client has a single point of contact with the insurer, making the process less complex and more efficient. Insurers with a global reach can offer risk managers the benefit of local market knowledge and expertise around the world, as well as insights from teams of specialists such as risk engineers. Multinational insurance programmes can essentially enable cost savings through bulk buying and can protect companies from the growing regulatory pressures they face when placing individual policies globally. Is technology driving change in the way risks are managed and transferred in this sector of the market? The increasing use of sensors to track and trace cargo is changing the way that risk is managed and underwritten. Sensors can give risk information about the location of cargo and the storage conditions – like temperature and light – affecting it while it is in transit. Shipments often cross national borders, so this can make it complicated determining where a claim occurred and who is actually liable. A sensor can provide accurate information, eliminating potential disputes and speeding up the process for the client. This also speeds up any subrogation pursuits by using the chain of custody information gathered from the sensor data. There is also the potential for sensors to play an important role in loss prevention. If, for example, a sensor is attached to a cargo of frozen goods, it can alert the client instantly if the temperature of the cargo changes – and the client can ensure that the fault is corrected and a claim avoided. Can you see other forms of technology influencing the future of cargo insurance? Cargo falls under the umbrella of marine insurance – which is the oldest class of insurance and still, sometimes, quite paper-heavy. But there are various exciting technology innovations that are bringing, and will bring, huge efficiencies to the process. For example, blockchain can provide a secure, private network that connects the various parties involved in placement of a risk – client, broker, captive, insurer, reinsurer, retrocessionaire – and produce an immutable audit trail. It therefore has the potential to change the way information is gathered and make the underwriting, and claims, process more efficient.